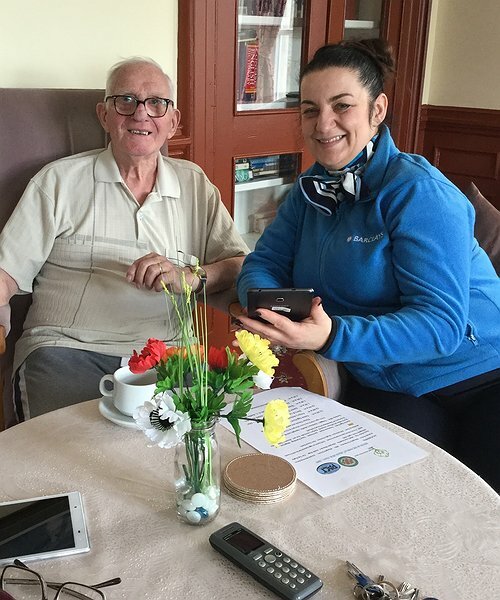 The Digital Eagles have landed at a sheltered housing scheme for older people in Abergele, with experts from Barclays Bank helping residents to pick up tips on using the latest technology. “We’re delighted that Rhys Scarll and Bernadette Brittles from Barclays Bank was able to join residents at Pentre Mawr in Abergele to host a ‘Digital Eagles’ friendly training workshop,” said Louise Blackwell, Community Development Officer for Clwyd Alyn Housing Association who manage the sheltered housing scheme. “We’ve had some great feedback from the residents who attend who really appreciated the friendly expert help covering a wide range of queries. The sessions were able to help those who are new to digital technology s well as more advanced users who want to know more about how to stay safe online, or how to increase the memory capacity of their devices. "Digital Eagles land at extra care housing scheme"
"Find out more about Extra Care apartments"